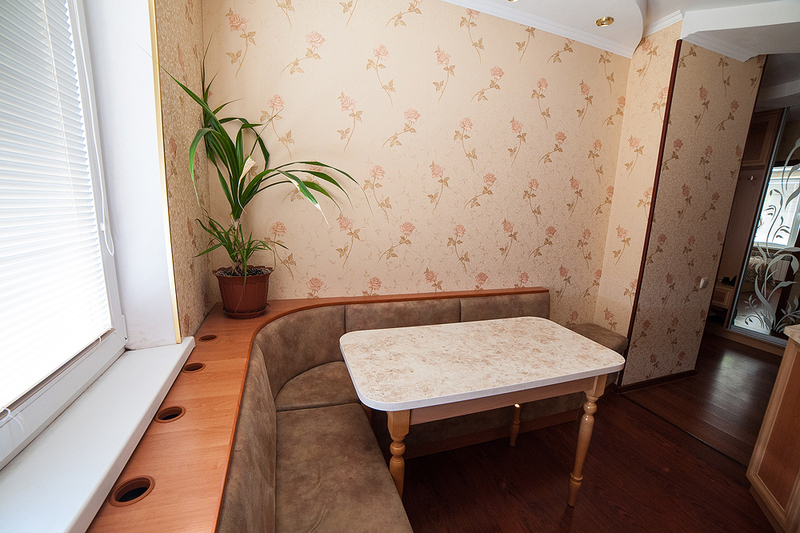 Are you looking for a cheap and fast renting a flat in Nikolaev in a comfortable location? On our website you’ll find one- or two-room apartments, different in design, filling and price, located in different districts of the city. You can rent a flat for night or for a long time without intermediators, and this greatly reduces the rent price and gives you an opportunity to save your money and time. 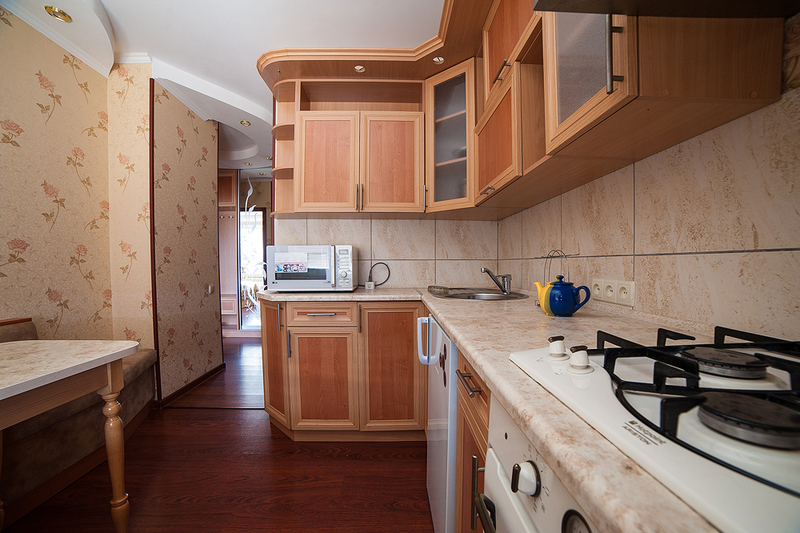 Two-room apartment in Krasnih Mayevshikov is a perfect option for those who like comfort. 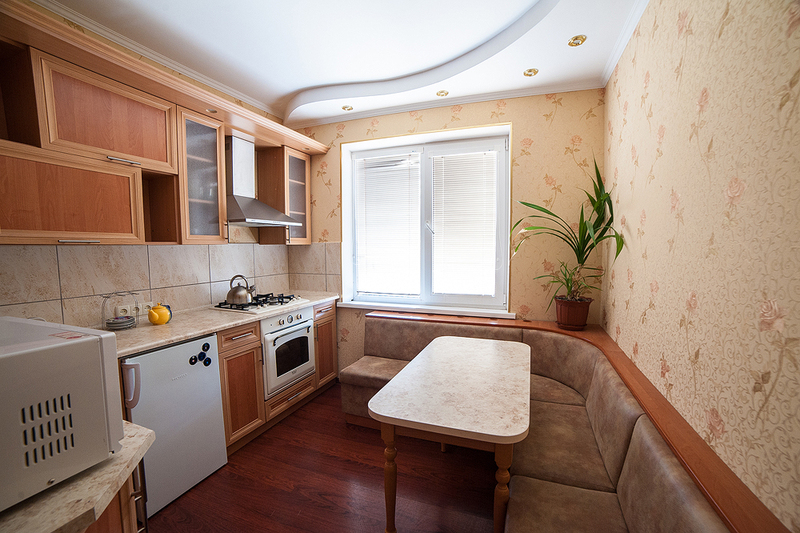 If you have to rent an apartment in Nikolaev because of a business trip or any other situation when you are in our city, we offer you to look at the two-room apartment in Krasnih Mayevshikov (Ozernaya street). 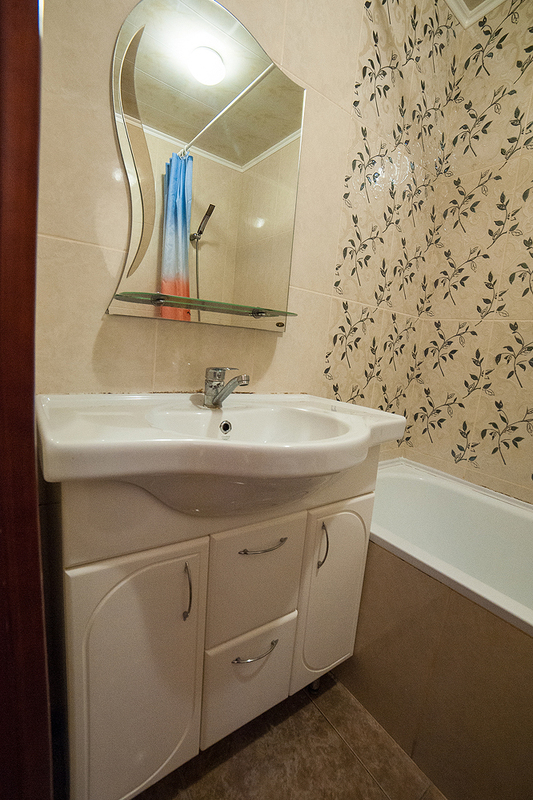 Light and spacious two-room flat, total area is 56 sq m, allows you to place from 1 to 6 people. 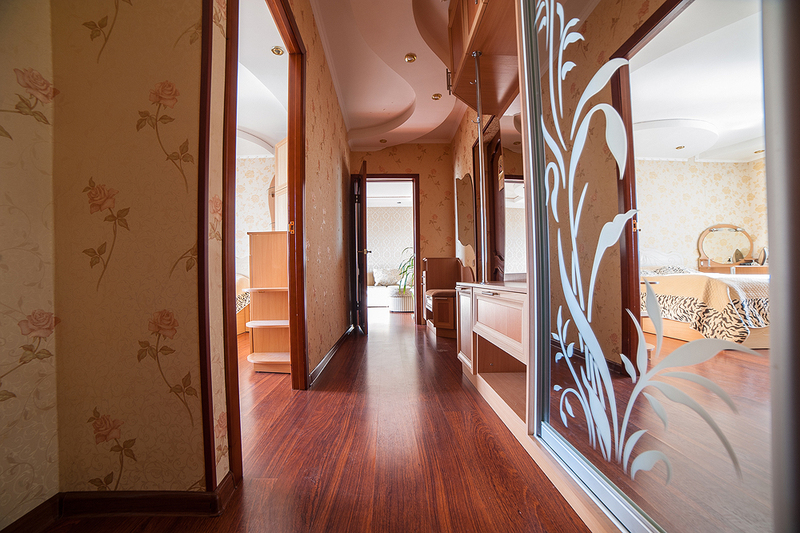 There are all the conditions for convenient living: a living room with glazed metal-plastic windows, a balcony, a bedroom, a hall, a bathroom and a toilet. Magnificent and luxury design of the living room, made in modern classic style, allows you to enjoy the rest fully and to immerse into cosy and comfortable atmosphere. 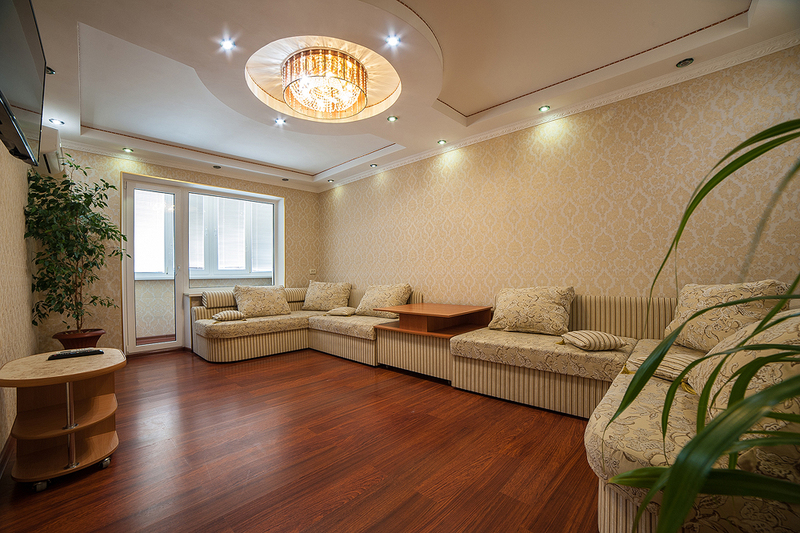 An expensive and modern repairs were done in the apartment, qualitative and safe materials used only. This apartment will not only make favourable conditions of living, but also will allow you to be placed on a proper position. The spacious and luxury living room is filled with two comfortable corner sofa-divans. The main punchline is a few-leveled ceiling with variety of the light sources. You also have an opportunity to choose the color of the light, because of light-emitting diode display. Light-emitting diode display, point light source, designer chandelier – all these things allow you not only to get different degree of light, but also to create your own atmosphere. The room is provided with modern LCD digital TV with 160 channels and has free Wi-Fi. In the bedroom there is a comfortable two-side bed with an orthopedic mattress, compact dressing table and an original wardrobe for your clothes. 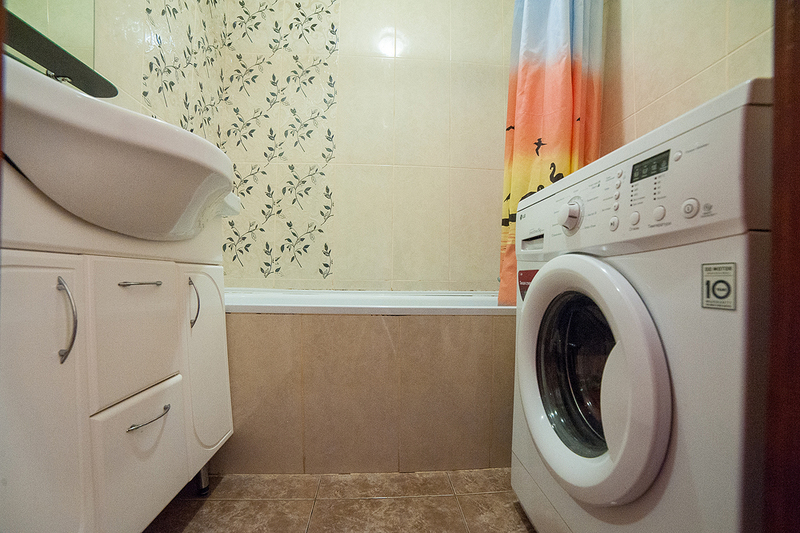 Besides, there is an iron, a hair-dryer, an air condition, we also offer you bed linen and towels. 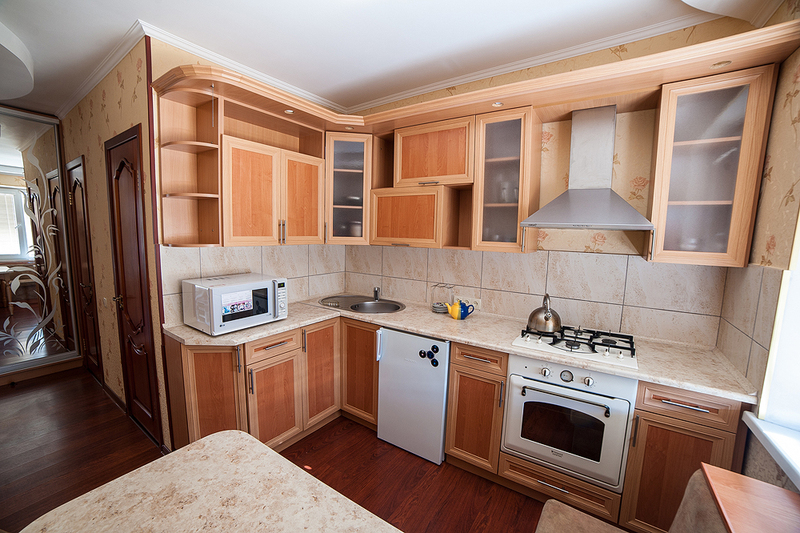 The kitchen is provided with a kitchen unit, a table with soft corners, and all the necessary household appliances for cooking: a gas cooker, an oven, a microwave oven, and a fridge. There is also a kitchen and dining sets. 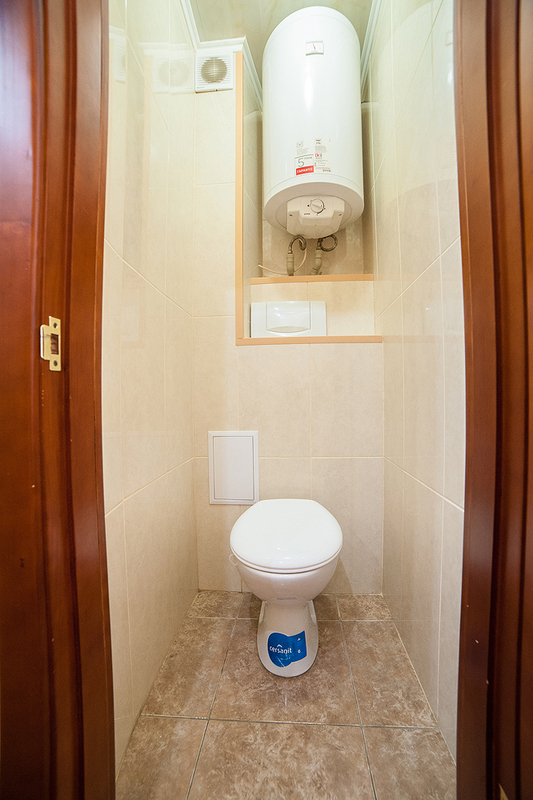 The bathroom will joy you with modern sanitary engineering and convenience. An automatic washing machine was set. Thus, if you are interested in our apartments for-night, or you need to rent a flat for a long time, you only have to phone us and to talk over about date and time of moving beforehand. 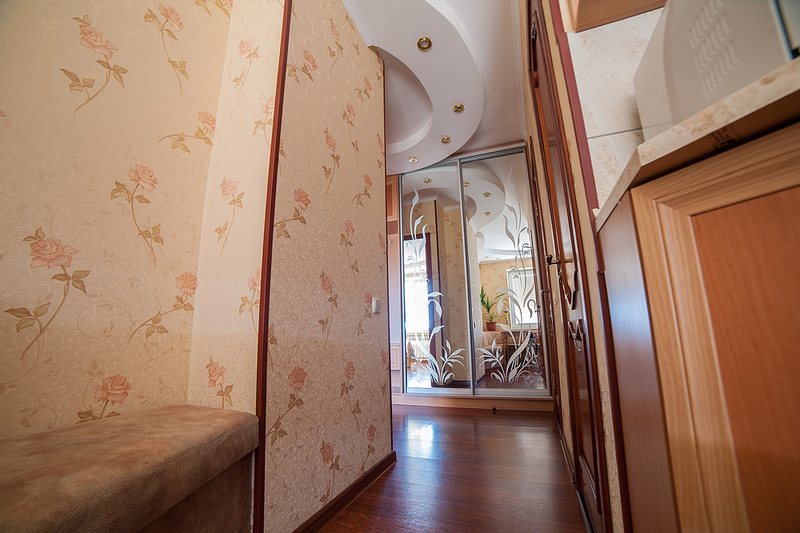 We will happily do everything for you to rent a flat in Nikolaev easily!